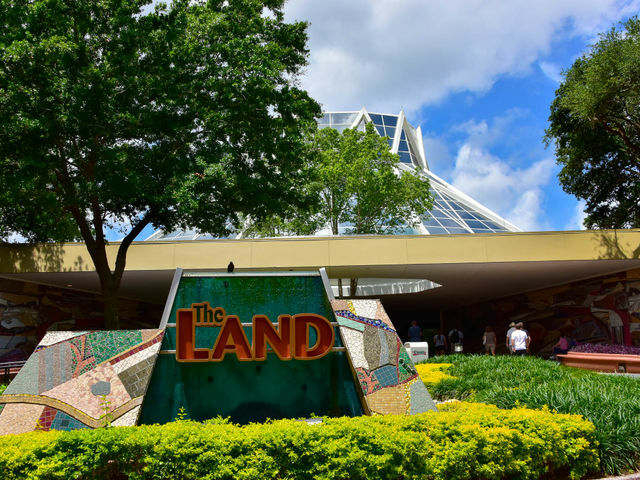 While Epcot is not what Walt Disney imagined when he first came up with the name, Future World celebrates many of the ideas he embraced in envisioning the community of the future. The layout of Epcot is unique in that it is organized into pavilions which are like mini-lands of their own. In World Showcase, each pavilion represents a country; in Future World, each one represents an area of technology. 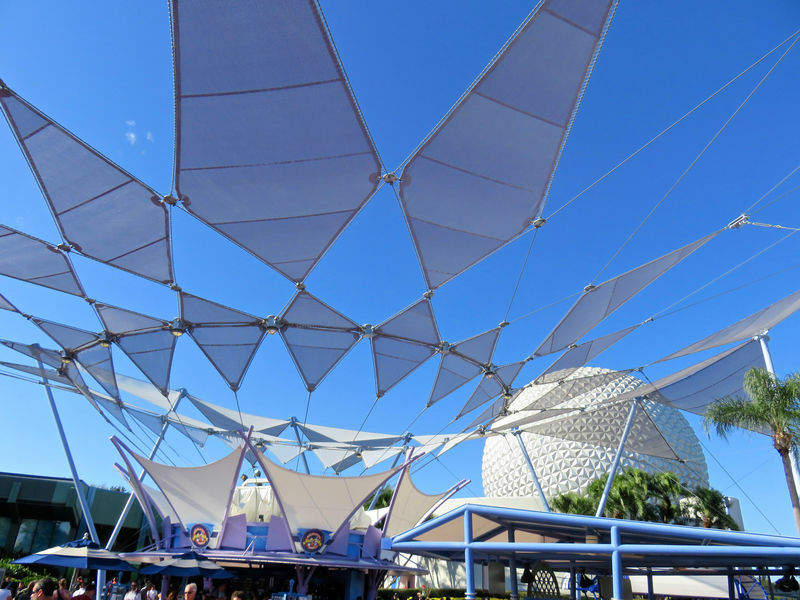 Future World also possesses the iconic image of Walt Disney World: the 160 foot diameter geodesic dome known as Spaceship Earth. Location: The half of the park nearest the main entrance. Circle of Life: An Environmental Fable Learn about the interconnectedness of nature from Lion King characters. Ellen's Energy Adventure A humorous and technologically complex look at what energy is, where it comes from, and different kinds. 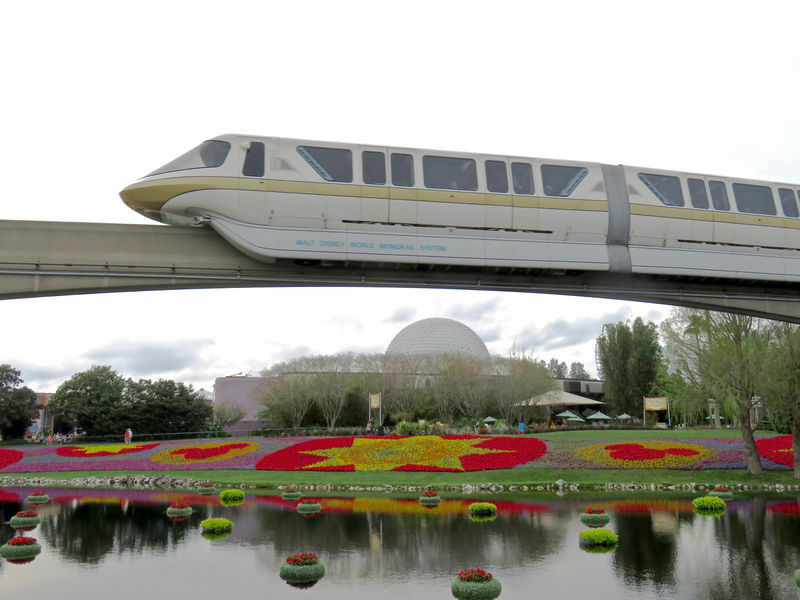 Innoventions: The Road to Tomorrow High tech companies show off their cutting edge wares. Journey Into Imagination with Figment The Imagination Institue will try to jumpstart your imagination. Living with the Land Learn about advanced agriculture techniques for around the world. Mission: SPACE Are you good enough for a mission to Mars? Soarin' Fly over California locales in this hanggliding simulator. 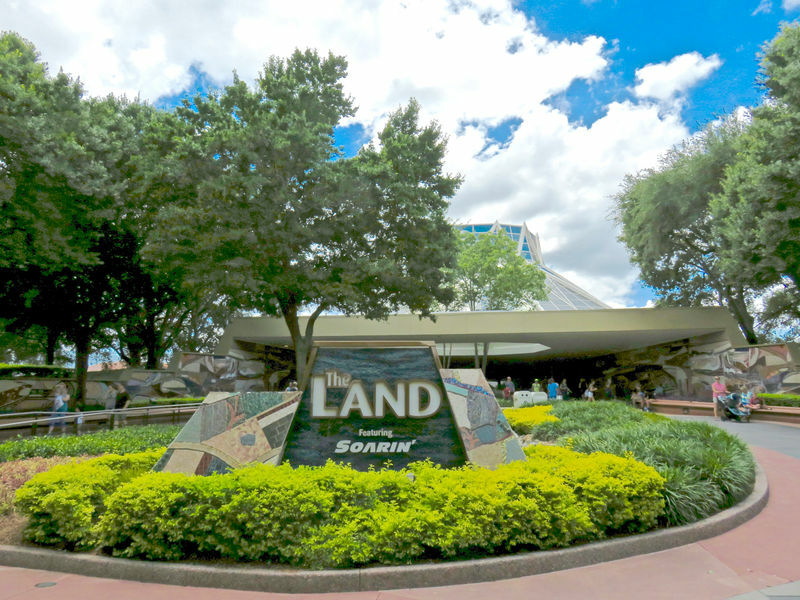 Spaceship Earth Travel through a history of communication. Test Track Take a test car through its paces. The Seas with Nemo & Friends A living saltwater aquarium with touches from Finding Nemo. JAMMitors Enjoy the percussive rhythms of this trio of "custodial cast members" who rock out once it hits "Break Time!" Mission: SPACE Advanced Training Lab Continue the excitement of the ride with these space-themed games. Turtle Talk with Crush Interact in real time with a computerized Crush from Finding Nemo. Coral Reef Restaurant Fine seafood and every table has a clear view of the aquarium. Electric Umbrella Restaurant Counter service fast food, all three meals served. Sunshine Season Food Fair Healthy options inspired by the food produced inside The Land's greenhouses. The Garden Grill Restaurant Chip and Dale character meal with views of the greenhouses of The Land. Camera Center Film, developing and other camera supplies in one of the legs of Spaceship Earth. Club Cool Sample Coca-Cola sodas from around the world, with plenty of merchandise avialable for purchase. Gateway Gifts Basic small souvenirs near the park entrance. Green Thumb Emporium Inside The Land pavilion, sells kitchen and garden accessories. MouseGear One of the largest stores at Walt Disney World, with just about any type of merchandise you could want. Test Track Specialty Shop Automotive souvenirs, both Disney and non-Disney. The Art of Disney Disney collectibles, prints, and animation cels. Here you will find a list of selected rides, shows, or restaurants that have been removed fromFuture World, never to return. Captain EO starring Michael Jackson Revisit Michael Jackson's 4-D spectacular. The Making of Me A film the covers an entire pregnancy from conception to birth. Fountain View Coffee or ice cream with a view of the fountain.